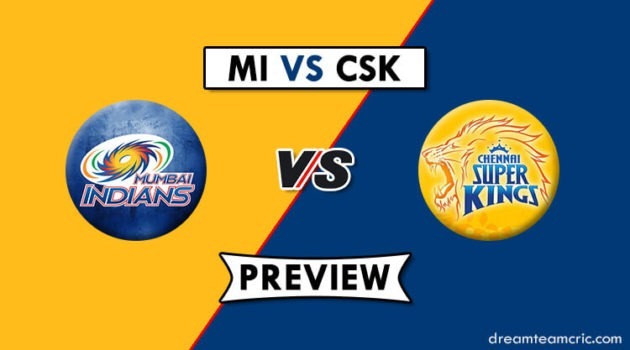 Hello and Welcome to our preview for Mumbai Indians vs Royal Challengers Bangalore match. 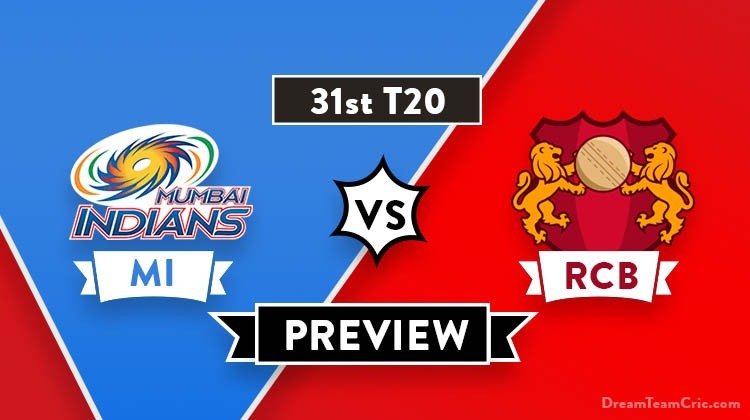 We are covering MI vs RCB Dream11 Team Prediction, Preview and Probable Playing XI for the T20 match. The match is to be played at Wankhede Stadium in Mumbai. Mumbai Indians are third on the points table with four wins and three losses. They lost their last match to Rajasthan Royals by 4 wickets. Batting first, Openers Quinton De Kock and Rohit Sharma played brilliant knocks of 81 and 47 respectively to give a good start to the team. Middle order failed to capitalise on start but another quick cameo of 28 runs in 11 balls from Hardik led them to a good total of 187. Defending the target, Krunal Pandya and Bumrah took three and two wickets each but could not defend the total. Mumbai Indians will be determined to bounce back and defeat RCB at iconic Wankhede Stadium. Royal Challengers Bangalore finally ended their win drought by defeating Kings XI Punjab on Saturday. Bowling first, Yuzi Chahal, Moeen Ali and Navdeep Saini bowled well to restrict Punjab at 173. Chahal took two crucial scalps for his team. Chasing the target, Virat and AB de Villiers played match-winning knocks of 67 and 59* respectively to comfortably chase the target. Marcus Stoinis also played good cameo of 28 runs. RCB have finally found some momentum and will come all guns blazing to get another victory defeating Mumbai Indians. MI vs RCB, 31st T20, Indian Premier League, 2019. Rohit Sharma (c), Quinton De Kock, Suryakumar Yadav, Kieron Pollard, Ishan Kishan (wk), Hardik Pandya, Krunal Pandya, Rahul Chahar, L Malinga, J Behrendorff, J Bumrah. Parthiv Patel, Virat Kohli (c), AB De Villiers, M Stoinis, Moeen Ali, Akshdeep Nath (wk), Pawan Negi, Mohd. Siraj, Navdeep Saini, Umesh Yadav, Yuzvendra Chahal. C and Vc Choices: Virat Kohli, Ab De Villiers, R Sharma, H Pandya, Q De Kock, K Pollard, M Stoinis. 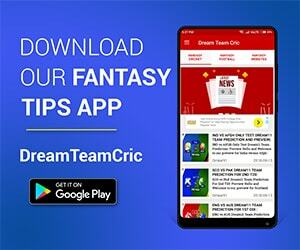 If you liked MI vs RCB Dream11 prediction, then follow us on Twitter for Latest Cricket News and Grand League teams.